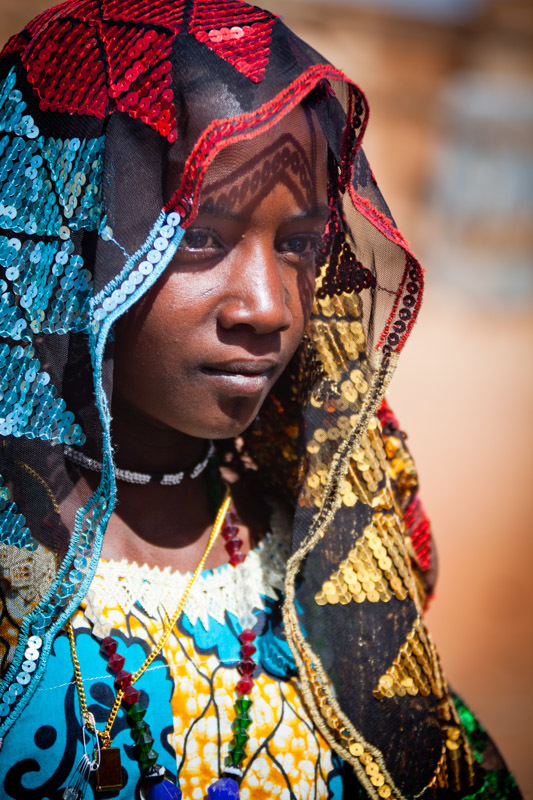 Hadji, A Fulani Girl II | Irene Abdou Photography, LLC - Travel. Lifestyle. Documentary. NGOs, Development & Public Health. Dressed in her finest clothing, Dicko Hadjiratou, age 14, browses the weekly Fulani market in the town of Djibo in northern Burkina Faso.